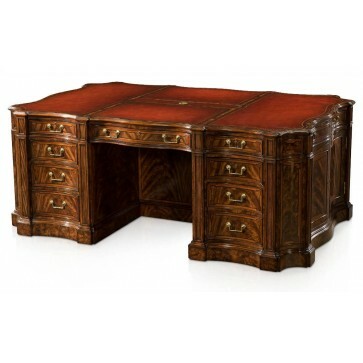 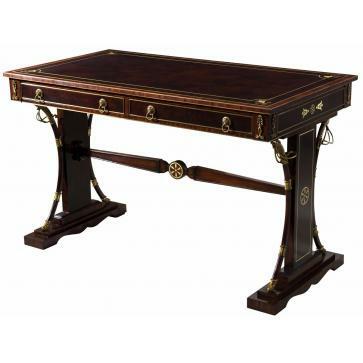 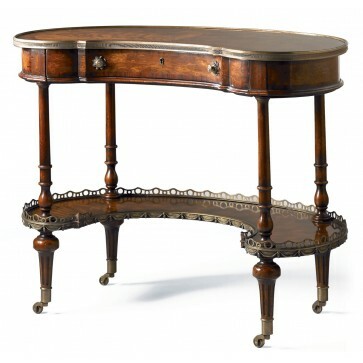 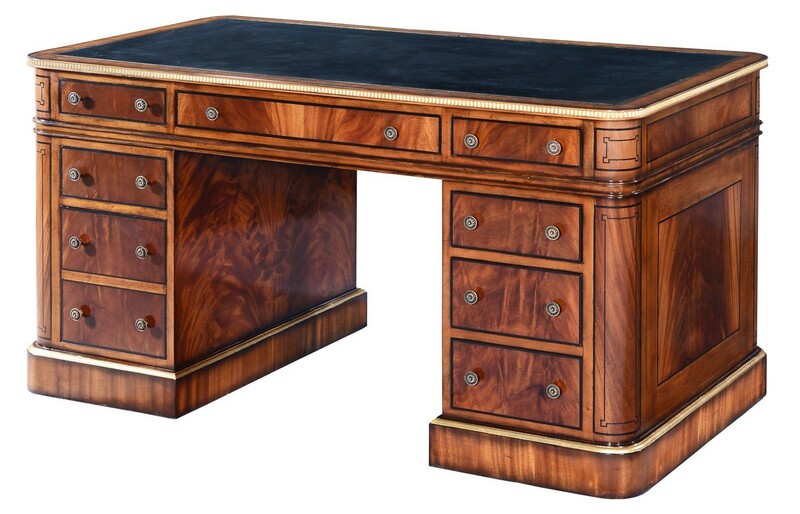 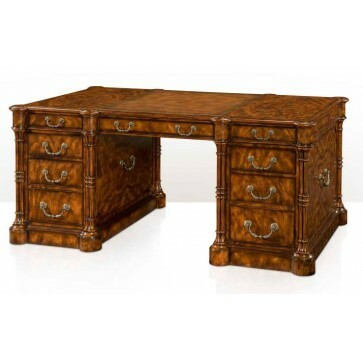 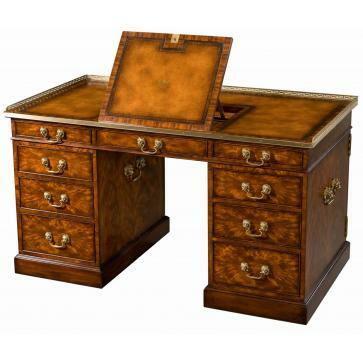 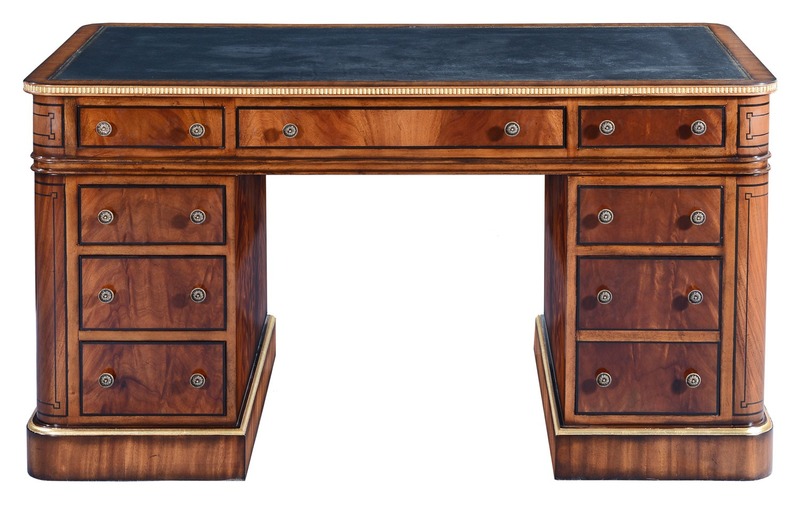 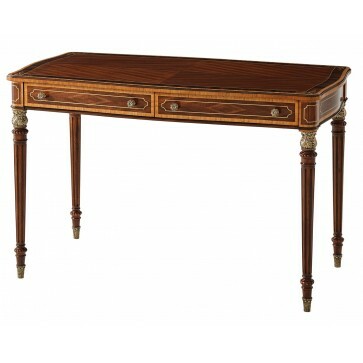 An attractive mahogany pedestal desk after an early 19th century design by Thomas Hope. 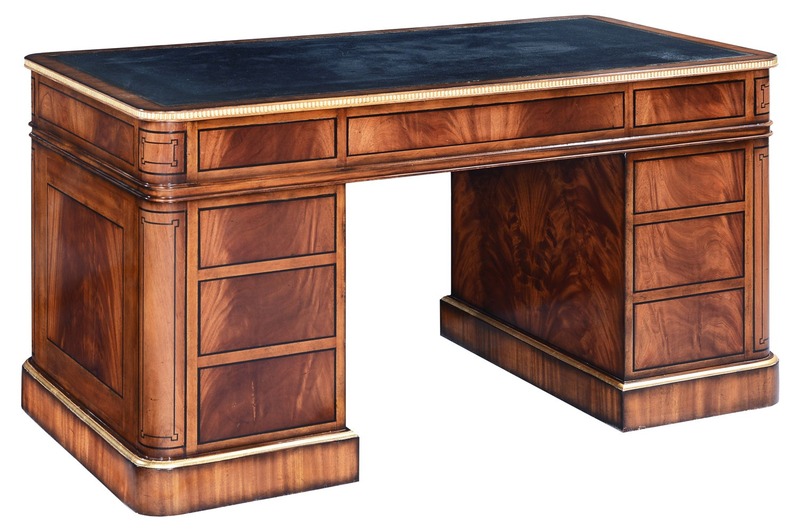 An attractive mahogany pedestal desk after an early 19th century design by Thomas Hope. 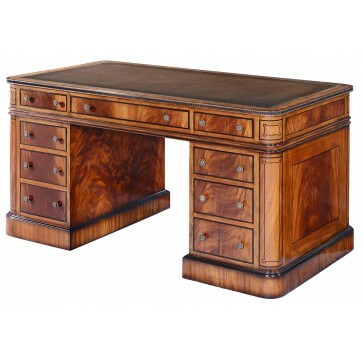 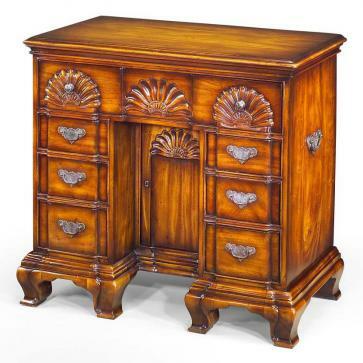 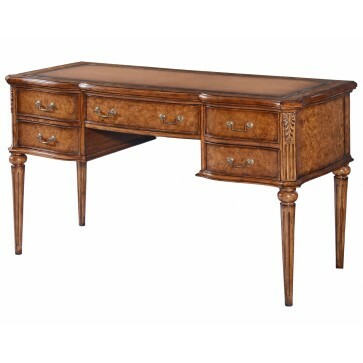 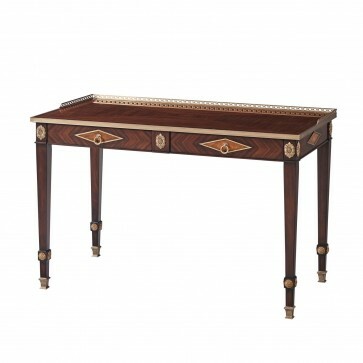 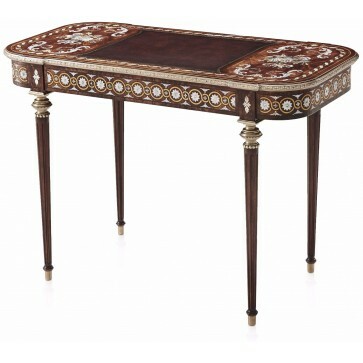 The top has a mahogany perimeter with finely carved edge and inset, hand tooled, leather writing surface, above two short and one long drawer. 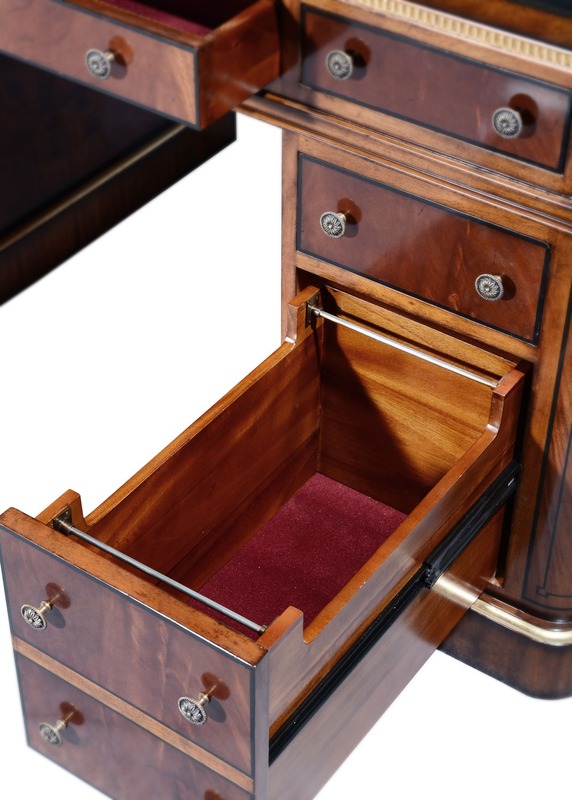 Each pedestal has graduated drawers, with the lower two in the right-hand pedestal combining as a filer. 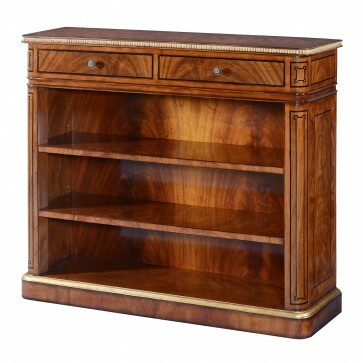 The opposite side is also finished but without handles as standard. 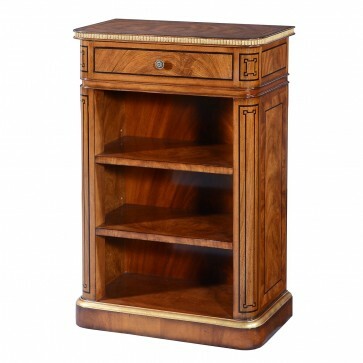 The flame mahogany combines with simple, yet elegant ebonised lines on all four sides with rounded corners to enhance a central room position. 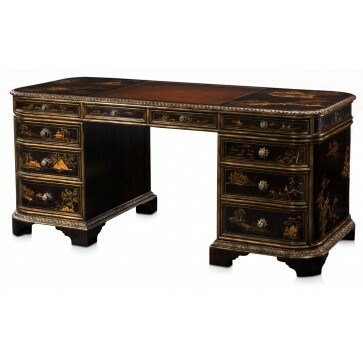 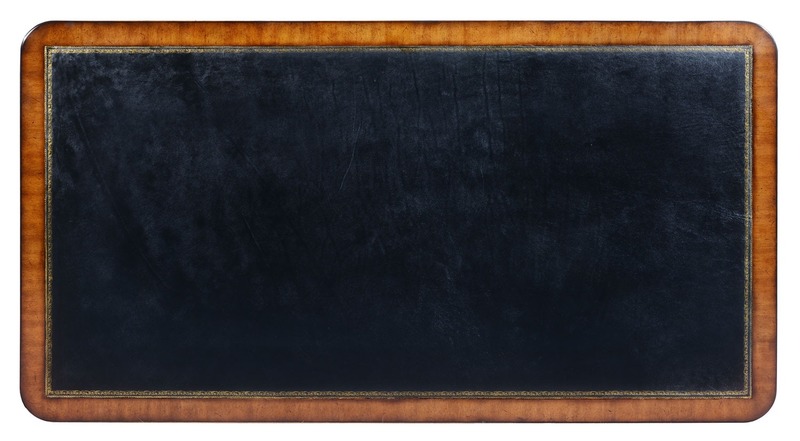 With black leather and gilded highlights to the carved top edge and plinth.